The universal word, nausea, is used for the most part to describe a feeling of illness. Experienced by everyone at one point in their lives, nausea can be brought on by several causes, both self-inflicting and by airborne. Everyone has their own treatments, from resting to let it run its course to taking medications. But did you know there are natural remedies such as essential oil treatments for nausea to help you feel like yourself again in no time? 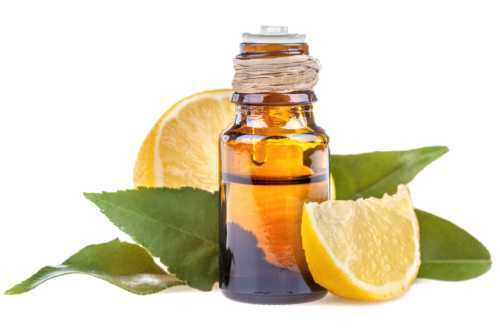 Essential oils are basically the essence, or aroma property, of a plant source such as a lemon. It has been used for centuries as a healing medicine with the earliest documentation from the early 1200s. Today aromatherapy is used all over the world as a type of alternative medicine to treat the everyday common cold virus to side effects of cancer treatments. The process of creating essential oils is done by several methods such as using steam distillation directly from the plant as with lavender, eucalyptus, patchouli, tea tree oil and peppermint. All of the plant’s flower, leaves, bark, seeds, peel, and root are steamed to collect the volatile compounds. From vapor, it returns to a liquid form in the special alembic machine. Another method used to create the oil is expression, or cold-pressing. Originally the only way to gather the oils, this is the best and most cost-efficient way to get the citrus oils. Solvent extraction is another way to gather essential oils, particularly those that have too delicate of an oil to be steamed or pressed. Whether your nausea is caused by a virus, motion sickness, stress, odor, food poisoning, digestive problems, pregnancy, or indulging in too much alcohol or food, there are chemical-free remedies to try before you reach for the phone to call mom. 1. Ginger – known to have been used by the Chinese since ancient times for a wide array of discomfort, ginger is thought to be one of the best natural remedies for nausea. Its gingerol component has a direct impact on the digestive system. Recent research on the effects of ginger to treat nausea caused by surgery and chemotherapy has found it significantly decreases symptoms during the first 24 hours, a time when nausea is at its greatest. 2. Peppermint – has been proven to relax stomach muscles and aid in the digestion of fats. From this, it is recommended to treat travel-related and post-surgery nausea. A recent Iranian study of women having chemotherapy for cancer treatments has shown using peppermint oil lessened the feeling of nausea after treatment. The oil is also used to relieve cramping associated with nausea. 3. Lemon – has been used for many ailments and nausea is one of the more common symptoms it has helped to relieve. The digestive and antispasmodic characteristics work to soothe a disrupted tummy. A clinical trial of pregnant women experiencing nausea resulted in a significant decrease in nausea and even the severity of the feeling. 4. Lavender – also has many benefits and inhaling the sweet aroma can settle your irritable stomach. Drops of the oil can be placed on the solar plexus, found below your sternum at the pit of your stomach to relieve nausea at the root of the problem. 5. Mandarin – may not be as common as others but is just as effective with its similar digestive and antispasmodic components. It calms constipation and fluid retention, both stimulators of nausea. 6. Chamomile – works directly on stomach discomfort as it rids of gas build-up by helping to ease the stomach muscles and gently soothes the nausea. It can be ingested orally when diluted with water to aid in nausea. 7. Spearmint – is an instant reliever of nausea for many people. It has an aroma that increases positive thoughts and puts your mind at ease. 8. Fennel – working with your digestive system, this seed oil relieves gas and bloating, which nausea stems from. Fennel is rich in phytoestrogens which is a natural digestive aid. 9. Coriander – is a rapid indigestion healer with added curing components for nausea. As a healing herb, it contains iron, phytonutrients, and flavonoids to help prevent nausea. 10. Anise – as a member of the dill family, this plant packs a punch on digestive issues that lead to nausea. Used alone or mixed with other essential oils, anise is a major aid in fighting discomfort. As the aforementioned oils, and other essential oils, have proven to aid in the healing of nausea, there are many treatments that include more than one of these oils. The combination of various pure oils can speed up the benefits as well as target issues that may be directly related to the nausea. The following treatments are recommended by Essential Oil Sanctuary. 1. Simple Inhalation – apply two drops of lavender or peppermint to a cloth or your hands and inhale to reap the benefits. You can also use a diffuser to have the aroma fill the room. 2. Gentle abdomen massage – mix four drops ginger, four drops lavender, three drops peppermint with five teaspoons of a carrier oil (of argan, coconut, sesame, sweet almond, jojoba, grapeseed and macadamia) in a non-reactive bowl. Massage onto the abdomen in a clockwise motion. 3. Inhaler blend – mix five drops bergamot, cardamom, grapefruit, and spearmint with three drops of geranium in a non-reactive bowl. Using a pocket-size inhaler, soak the contents into the wick and use inhaler when needed. 4. Simple Soothing Drink – mix one drop peppermint and one teaspoon raw honey with one cup of warm water. 5. 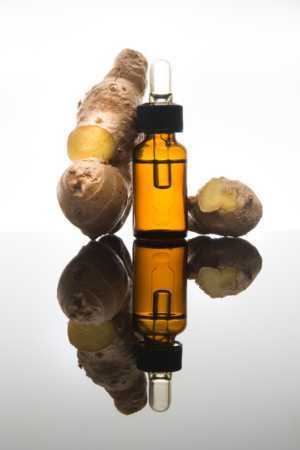 Soothing Ginger Steam Inhalation – put one to two drops ginger in a medium-sized bowl of hot steaming water. Cover your head with a towel and place your face directly over the steaming water to inhale the oil. Be sure the towel forms a tent over you and the bowl and keep your eyes closed. Breathe in the steam for five minutes. Repeat as needed. 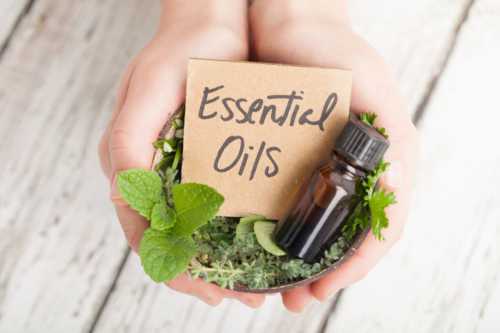 If you feel the sensation of nausea beginning but do not have access to any essential oils at the time, there are a few things you can do to prevent the onset. As best as you can, breathe in fresh air, place a cold cloth to your forehead, drink water, and do not consume any carbonated drinks. To prevent nausea, do not lie down after a meal for at least one hour, avoid high-fat foods, and eat small meals.